The Route des Mimosas is a 130km route along the coast, following the towns made famous by the Belle Époque era. Though travellers who adore roadtrips, such as Australians, often wonder why there’s a route dedicated to the native Australian flower, the wattle. It’s a little know fact in the region, that the beloved mimosa came from Down Under, with the British introducing the species in the 1800’s, to add a bit of sunshine hue to the gardens during their late winter holidays along the Côte d’ Azur. When on a roadtrip along the Route des Mimosas, there’s the atmosphere of the Springtime feel of the Belle Époque era, when the Riviera was a wintertime resort, with the first of the al fresco lunches on bistro terraces lining the mimosa-treed village streets; and all the glittering Spring events that groups staying in grand villas and hotels enjoy. The Mimosa, from that era to today turns the landscape sunshine yellow, a symbol for the start of the season. Our own mimosas lining the grounds of Villas Tropez have the important role of shading the petanque pitch, for long lazy afternoons playing boules. Cavalaire, Sainte Maxime, Cannes have Flower Parades with gorgeously decorated floats along the Route des Mimosas. 11 – 14 May. The Harley-Davidson® Euro Festival returns to Grimaud, Saint-Tropez. The beachfront setting of Port Grimaud is the scene for the music festivals and motorcycle displays. The roads around the whole region are abuzz with the these gleaming machines cruising in the sun. 16–18 May, St Tropez: A festival and parade, celebrated now for 450 years, in memory of the first military townsfolk who saved the small fishing village from sea-based attacks. The whole town stops and celebrates, turning St Tropez into one enormous colourful festive event. A fabulous entry on the St Tropez events calendar. May 17-28. The ultimate daytrip, one hour from Villa Tropez. The best chance world-wide for people watching, and for watching films at the Cannes Film Festival. For the website in English, click here. 28–31 May, St Tropez: A colourful flotilla of wooden fishing boats and yachts arrive into the old port, replacing the luxury mega-yachts for this weekend of racing and festivities. 02 – 05 June, Aix-en-Provence: A spectacular outdoor show in Aix-en-Provence, from Salon Vivre Côté Sud with stunning home decor and garden ideas, inspired from the South of France and Mediterranean. 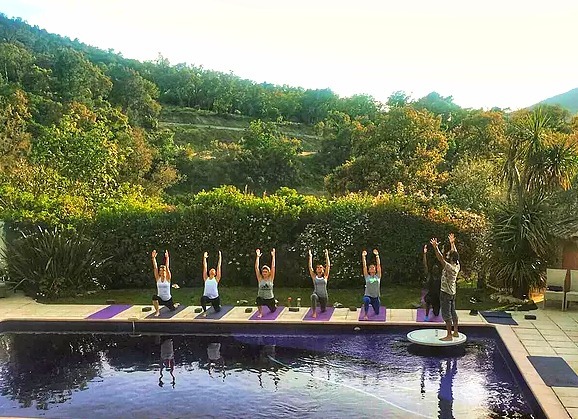 04 – 09 June, Villa Tropez: Your fitness and Pilates retreat escape fulfilled – offering 5 fitness options daily, delivered by London’s top trainers: Pilates, circuit training, yoga, hiking, stretching, meditation. Expect a menu expertly designed to replenish body and mind, a stunning St. Tropez villa and a challenging fitness programme delivered by Holly Howard, renowned personal trainer and nutritionist, and David Kingsbury, founder of OPUS in Notting Hill. 05 -08 June, St Tropez: During the Rally Megève Classic Saint-Tropez, a host of classic cars depart the beautiful Savoy alpine station, traversing the Alps and touring 800 kms before stopping in St Tropez overnight and for a round of golf, before arriving at their destination of Bailli de Suffren. 21 June, all over France. Spectacular events in Saint Tropez and surrounding villages, the country celebrates all things musical, with free concerts for all ages. Three fabulous concerts take place in the magical setting of the Citadelle of Saint-Tropez. 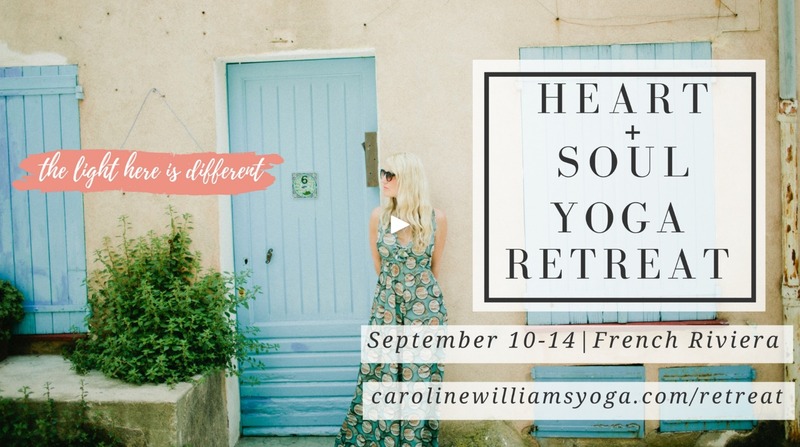 Villa Tropez will be the Venue of Light for this Heart + Soul Yoga retreat. Guests capped at 10 persons, only 2 places left. Renée Mann, the President of The Ayurvedic Association UK, will be holding an all-inclusive Ayurvedic nutrition & yoga retreat, incorporating yoga sessions, Ayurvedic massages, a personal consultation and healthy eating workshop. Personalise your wellness program and make the most out of your holiday. Provence: Take a walk in the countryside in September and you may well find yourself trailing behind harvest tractors. Their precious loads of sumptuous red berries will be transformed into the signature rosé of this sun-soaked region. It’s such a romantic and heart-warming time, with the locals excitedly comparing the weight of their toils. Similar to the Champagne region and the Cochelet, the festival at the end of harvest sees the last tractor that returns from the vineyard decked with flowers and foliage. The grape-picking teams then share an evening feast, washed down with rosé. Early September, Saint Maxime: Celebrate with the locals in honouring the harvesting of the grapes, or d’honneur de la récolte du raisin, with festivities and live music in the cobblestone streets, and firework displays over the harbour. Every Tuesday in September, Ramatuelle and Gassin: A wonderfully unique way, for young and old alike, to discover two of the most gorgeous hilltop villages, with commentary on the Bay of Pampelonne, the Golden Islands and a stroll through the streets of Gassin. RDV: 4:30 p.m. Place de l’Ormeau Ramatuelle, return: 6:30 p.m.
€5, free for under 12s. Registration required at the Ramatuelle Tourist Office before Tuesday noon. 27 – 30 September, Monaco: Set in the iconic Port Hercules of the Principality of Monaco since 1991, the Monaco Yacht Show is the only place to admire, visit and purchase around 120 extraordinary one-off superyachts built by the world’s most respected shipyards. 40 new launches are unveiled in world premiere for every edition. 30 September– 08 October, St Tropez: The last week of September sees the biggest event of the year in St Tropez, Les Voiles de St Tropez Yacht Regatta. Hundred of overwhelmingly beautiful maxi-yachts sail into the harbour to race in one of the biggest regattas in the global yachting calendar. For the past five years, Villa Tropez has hosted the captain and crew of the Leopard III, regular champions of the regattas. 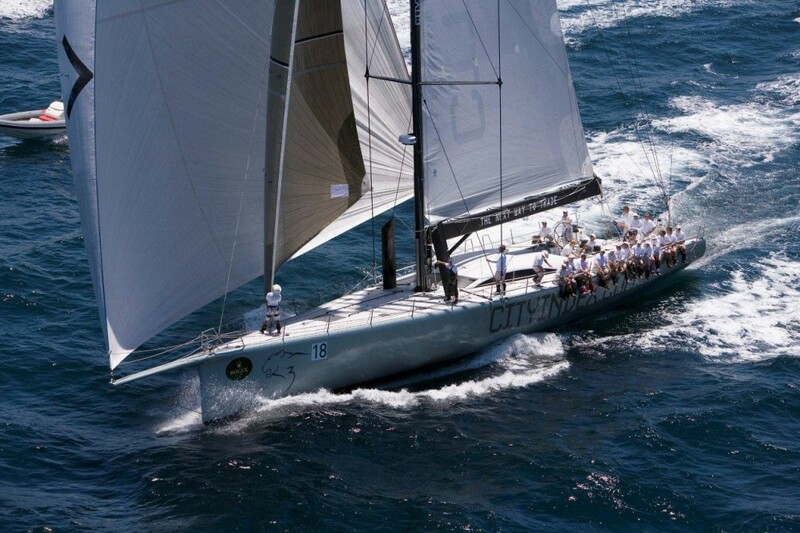 One of the most impressive St Tropez events. First weekend of October, Saint Maxime: With over 50 chef stands, cuisine workshops and a Theatre showing multi-media displays, fine cuisine producers and the ebst of the region’s chefs come together to show off their expertise. Fun to be had for all ages, with a contest for petit chefs also. The town’s visitors swell, and for good reason. Where else can you grab a designer bargain, and show it off at the beach-club restaurants, such as Club 55, which are still open on balmy days. There are ferry services just for this event, carrying in bargain-hunters from St Maxime, Cannes and Nice also. If you love a bargain this is one of the St Tropez events not to be missed. Last three Sundays in October, Collobrières & La Garde Freinet: An age-old tradition and livelihood, the sweet chestnut tree, le châtaignier or marronier, was introduced into the Maures forests and hills by the first Carthusians in the 10th century, in the towns of Collobrières, La Garde Freinet, Les Mayons, Pignans and Gonfaron. The chestnut was the staple food for long swathes of the year, providing sustenance and income to the locals of the time. In the 1900s the production fell due to canker disease, which lasted up until the 1980s. Today the industry has flourished once more in the Massif des Maures. In Collobrières there are now more than 2200 acres of chestnut trees. Each year, on the last two to three Sundays of October, a Chestnut Festival is held in Collobrières and La Garde Freinet, where a lovely autumnal day is spent discovering the alleyways filled with the aroma of roasting chestnuts, delicacies made of marrons glacés, marrons grillés, crème de marron, glace à la crème, amongst other delicious gourmet provençal goods. Peruse the offerings of numerous artisans on display, with up to seventy market stalls for this well-known annual harvest festival. Enjoy a guided tour from the town centre of La Garde Freinet to the chestnut groves of the Massif des Maures mountain range. Mid November, Nice: In mid November you’ll find marquees lining the promenade in Nice, comprising the finest of chocolate festivals, the Salon du Chocolat. There’s heavenly Christmas gift ideas and tastings of chocolate in every possible form, from artisans around the world. 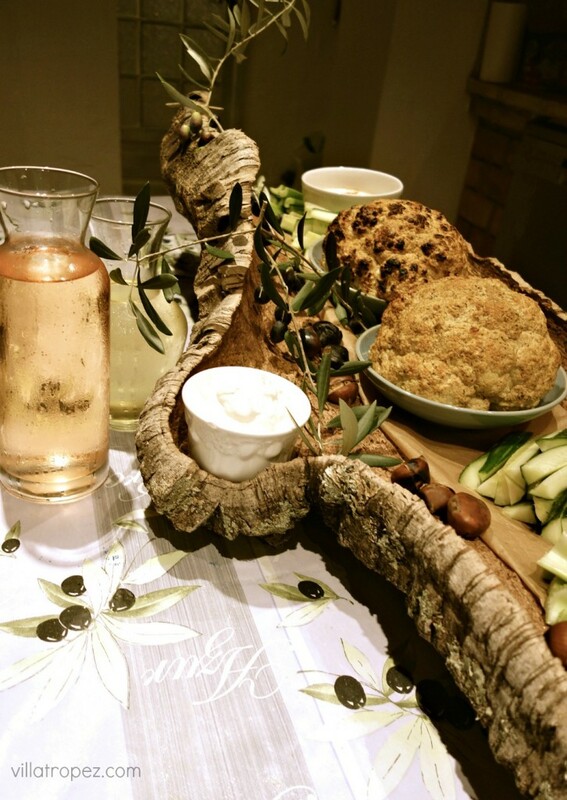 Late November, Provence: In late November, when other parts of the world are thinking about Thanksgiving and Christmas, and where they’ll buy their turkeys, Provence is all about olives and oysters. With a whole dinde (turkey) hard to find in French supermarkets, you have to visit a poultry farm and choose your own festive bird. Or you can do what the locals do and get into some oyster shucking or olive harvesting instead. It’s typically a family affair, but if you’re staying in the area there’s the opportunity to take part in olive harvests and festive feasts. Christmas/New Year, St Tropez: From ice-hockey games, a petting zoo and festive films at the cinema to Père Noël (Santa Claus) arriving by boat into the old port on Christmas Eve and fantastic fireworks on New Year’s Eve, there’s a huge calendar of events on throughout December and January in St Tropez. And there’s the chance of being able to meander around in a t-shirt or have a BBQ for your Christmas lunch, as the days can be quite balmy. Nice and surrounds: A large Christmas market is held in Place Massena in Nice. Also not to be missed is a 30-minute drive into La Vallée du Paillon, and the magical medieval town of Lucéram, where you’ll find the whole town is transformed into hundreds of beautifully displayed nativity scenes.